My boys, my world! 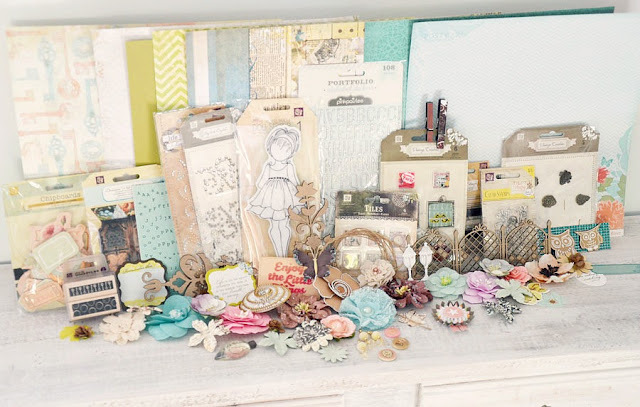 : PaperHaus Bloghop day 5 - plus Giveaway! PaperHaus Bloghop day 5 - plus Giveaway! 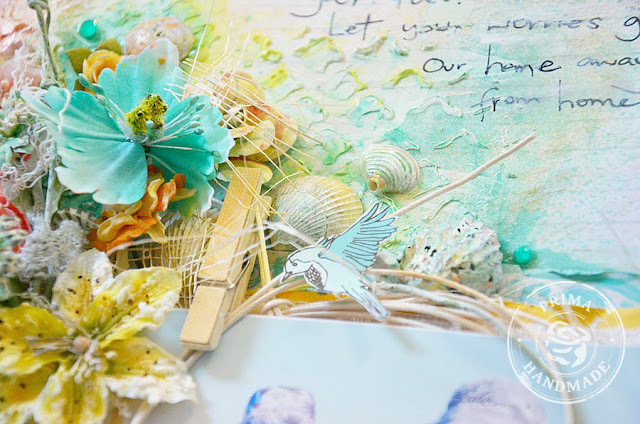 Welcome to thePaperHaus Magazine Summer Delight Blog Hop! We are excited that you are hopping with us and we would like to thank you for hopping along! We are celebrating the release of the Summer Issue of PaperHaus Magazine! There is SO much inspiration, techniques, projects, and exclusive artist interviews inside! Not only that but it’s an issue filled with amazing Mixed Media projects from people from all over the world! We hope you enjoy flipping through the pages as much as we enjoyed putting it together for you! Below is the link to the summer issue, simply click on the link below to go there now! BUT Come back as we want to show you some amazing Summer projects! If you have had a chance to have a look at the issue, we hope you were inspired, and here is some more inspiration too! Our Summer Delight event is all about fun summer days filled with scrapbooking and crafting! We want to share with you what we have made! 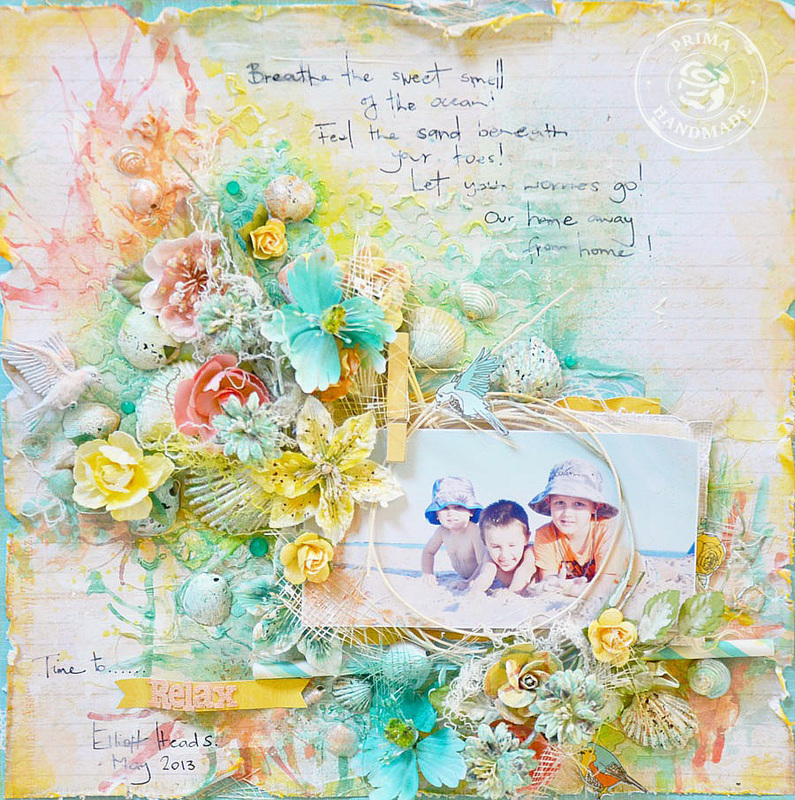 Every day on the PaperHaus blog there will be amazing inspiration and tutorials so be sure to stop on by everyday in June! Each day for the next 7 days, there will be a different hop with different participants. Many are giving away RAKs and prizes! Be sure to start at the PaperHaus Blog each day to see where to go. Here is the order for the hop for today 5th June. 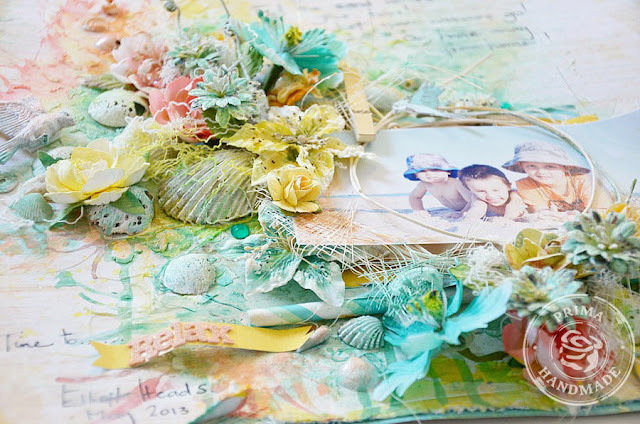 While we are talking all about Summer, here is another summer/vacation layout I created for the Prima blog. Loads of Prima goodies, awesome summer colours.....don't they just make you think of an iceblock (or a popsicle)!!! But before you go I have a RAK to giveaway. Just pop a comment in the comments section to let me know you have been and you would like to win!! I will draw this in a weeks time on the 12th :) Good luck!!!! 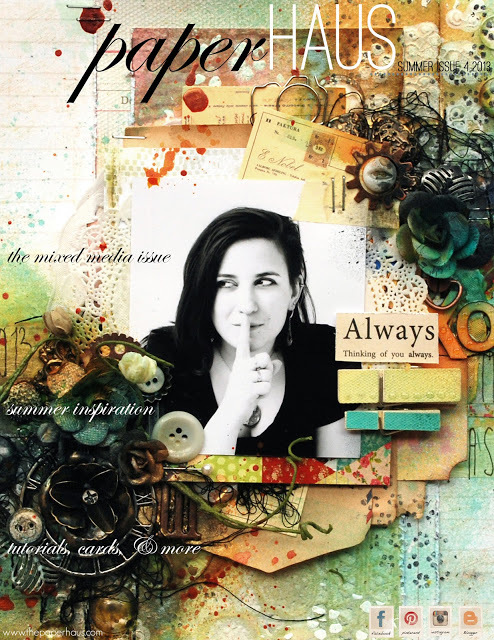 I hope you enjoy all of the inspiration that the PaperHaus Summer edition has to offer. Oh, Stacy, how beautiful! And I would very much like to win your wonderful gift, Thank you! Stacey! All your projects are fabblous! Thank you for the chance to win. I love your work and it is always inspiring. Such a yummy giveaway. Would love to win that yumminess! Stacey! Your works are very pretty and gorgeous! And I would like to win your yummy giveaway, thank you! Stacey, this layout is so serene!!!! I love the seashells on your layout and your sneaky. I love your layout a lot! The color is so bright so beautiful! Love the shells you used on the page too, great work. Thanks for sharing and the chance to win the giveaway! I love your work Stacey. Being a mum of boys it inspires me to see your soft, pretty feminine take on boys layouts. Would love to win!!! wow all of those flowers are stunning!!! I love flowers and your work is fabulous ! I love Relax! So gorgeous you have such talent! TFS! Wow, it´s such an amazing lay-out with so many beautiful details and textures. Love it! I love your layout! Beautiful work. Thank you for the chance to win! So many inspiration! Thank you for the chance to win so wonderful giveaway! I would be happy to win! I would love to win your RAK. The layout is so pretty. The colors are soft. It really speaks to being about summer and the seashore. I absolutely love the colors on that page! So inspiring! oh wow---what a wonderful layout! so beautiful! I'd love to win this giveaway!! Awesome work as usual! Thanks for the chance to win this amazing RAK! 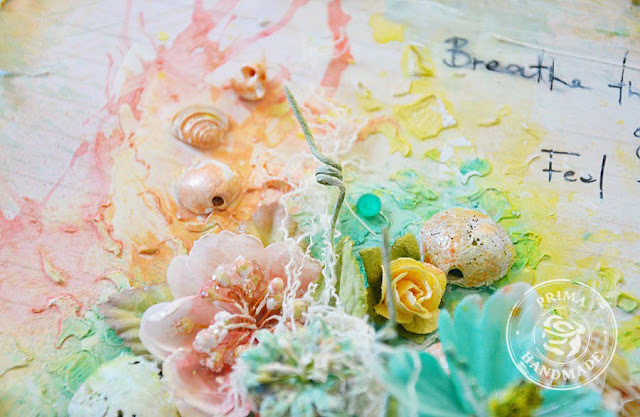 Love the shells in your layout and the colors!!! WOWZA!!!!! What a giveaway!!! I would love to be the one chosen for your prize package. Thank you for the chance to win. First of all, I love the scrapbook page. Adding the shells was a great idea. Oh my goodness you are so talented! I would love to win these goodies. Love all the colors in your work ! So pretty ! I would love to win your prize. :D Thanks for the chance. Oh my what a great prize pack.Thanks for the chance to enter your giveaway. Love your work!! AMAZING! I love all the little goodies - like the straw - it is so soooothing! I came, I saw, I liked. So generous is your gift. As always, yours post is so inspiring! wow, so gorgeous! like the hop, very inspiring! Your layouts are true beauty! Pure gorgeousness!!! & you kids are just so adorable. Thanks for offering such fabulous blog candy. Your layout is GORGEOUS! There's so much to look at that I can't stop admiring it! Your style is amazing! Thank you so much for the inspiration and for the chance to win an awesome prize! WOW! What a gorgeous layout! 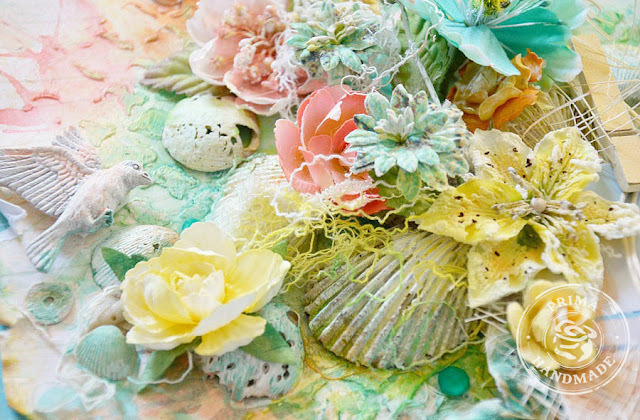 I love the shells and all the texture! I would love to win your RAK. Thanks for the chance! Your page is so beautiful! I love the colors...just perfect. Thanks for the chance to win! Beautifully done and with such an eye for detail! Love seeing your amazing creations!! brilliant colors of summer! very nice and very beautiful gift, thank you! Wow, so many details on that layout and such beautiful colors. It really is a masterpiece. Thanks for sharing your creation. Love your summery colours! We are in mid winter here! Another hello from NZ. Your page is absolutely stunning with the gorgeous colours and design. I would certainly be grateful to win. Thank you for your continued inspiration. Wow! Such a great win! I would love to win it!!!! You do such wonderful work. Thanks for the chance to win a magnificient prize! I love your work, gorgeous colours, and amazing detail. It's so inspiring, and the giveaway is "to die for". I'm hoping I win! Love your layout, so many little bits and pieces it must be amazing to see it in person. Please add me to your fabulous give away! Hi Stacey, I'm in love with your work, you are so talented and such an inspiration, and your boys are adorable. I would love to win your blog candy, such an amazing gift and I thank you for the opportunity. OMG, the beachy project is to die for. I love how you included all the natural elements - shells are my favourite! Thank you for the chance to win your lovely prize. 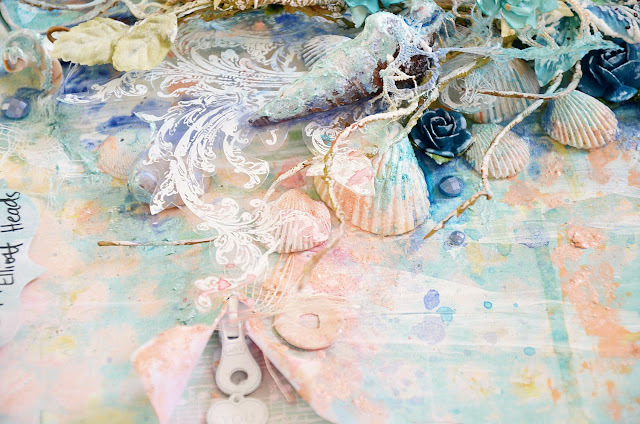 gorgeous layout with textures,shells.amazing colors,iam your new follower.thanks for the chance. I absolutely love your style and I am a new follower. Thank you for your generosity -- I would love to win that incredible rak! always been a fan of your gorgeous layouts! hope.I could win the collection too! WOW -- what a great giveaway! Of course, who would not like to win this RAK! I appreciate the chance! AND I have to add that your work is stunning! Bravo, I love everything of your work, it is amazing !! Just a dream - thanx for the chance to win this treasure)) as for your works - no words can describe them. It's just love. This is absolutely gorgeous!!! I love your work, so glad I found this blog :)!! Your sneak peek looks gorgeous! Stunning summer layout too! Love those fresh summer colours! OMGosh I almost missed this awesome giveaway!!! Good luck ladies! I love your work so beautiful and full of inspiration , following your blog now!! !